Casa Bezzia is a lovingly converted house in northern Italy, just 50km from Parma, from where owner Sylvia Bell runs her painting holidays. 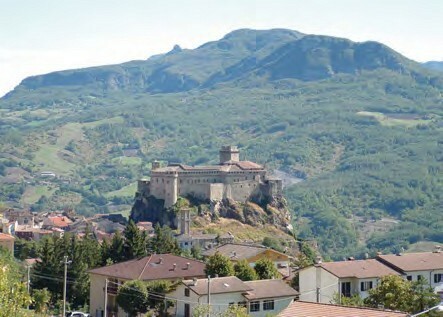 The house is situated in the lower Apennines in the small medieval fortress town of Bardi, which dominates the Ceno valley. There are four tastefully decorated rooms, each with its own artist-theme – Dufy, Degas, Klimt and O’Keeffe – as well as two bathrooms, a dining room, kitchen, small garden and recently renovated stable studio, which is well equipped, spacious and bright.